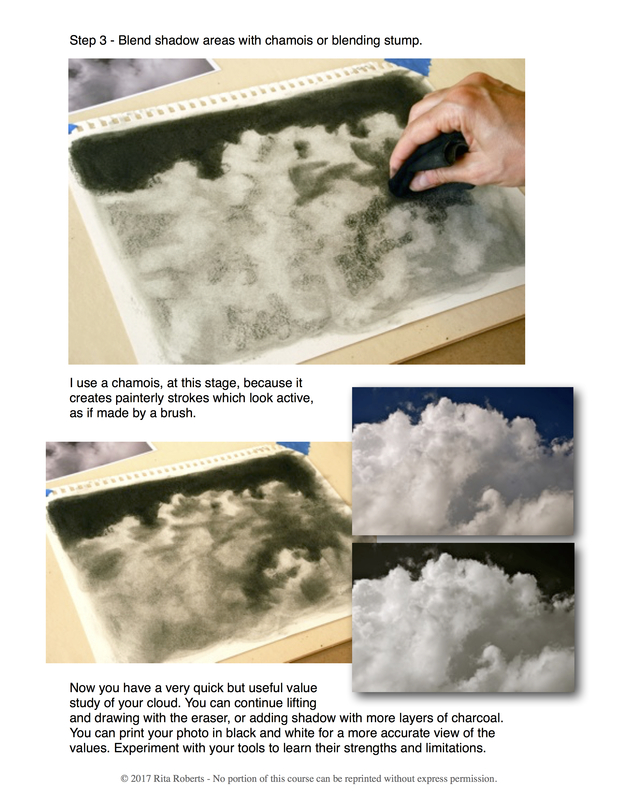 Read “Understanding Clouds – Charcoal” instructor pdf handout. Homework assignment – Photograph clouds, choose one or two to use as reference. Complete at least one charcoal drawing, 9” x 12” or larger. 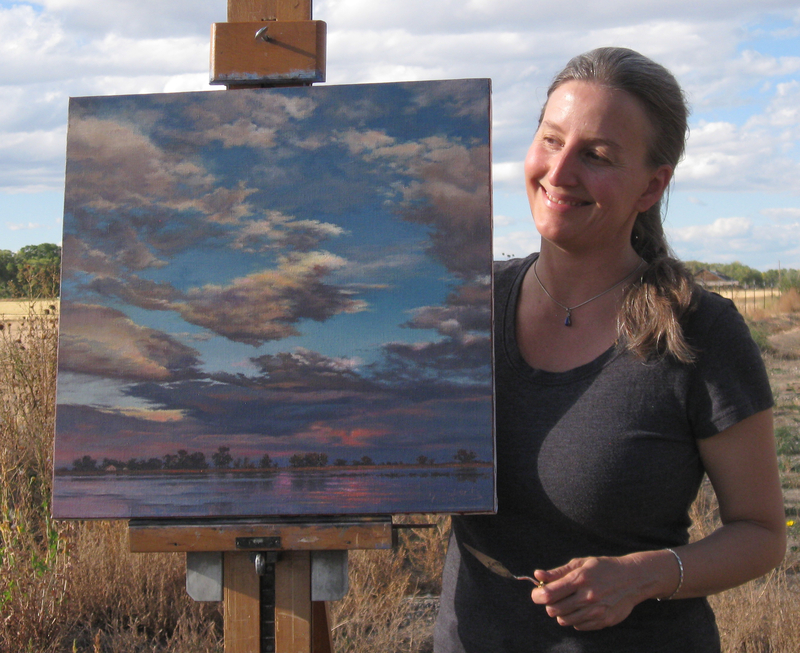 Read “Using the Palette Knife” instructor pdf handout. Complete exercises on 9” x 12” or larger panel or canvas. 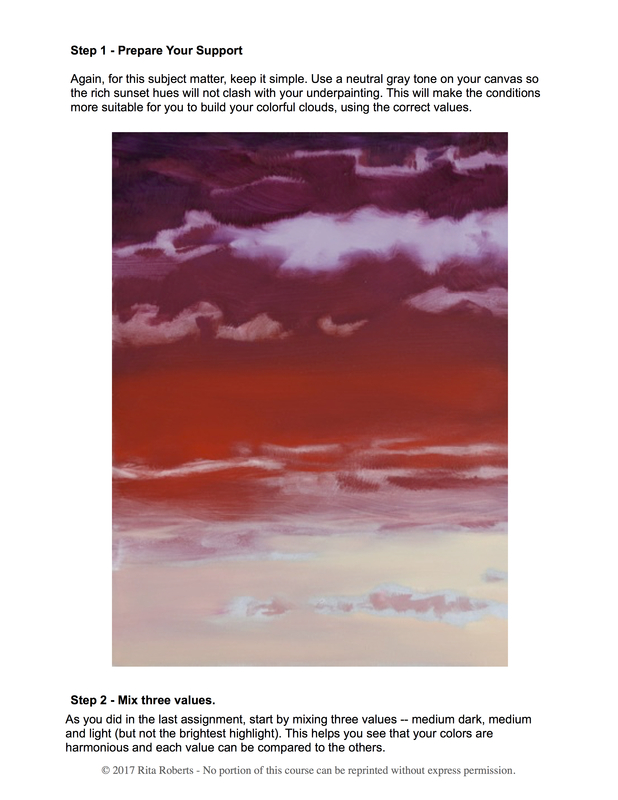 Read “Understanding Clouds – Oils” instructor pdf handout. Homework assignment – Using the same reference, paint a monochromatic cloud image, 9” x 12” or larger. Read “Understanding Clouds – Color” instructor pdf handout. Choose a reference with a variety of colors and dramatic lighting. Homework assignment – Complete 9” x 12” oil painting or larger. As the course and the Understanding Clouds (UC) Community develops, these prices will likely go up. More content, videos, and demos will be added to the course at a later date. The full registration will give you access to these upgrades for no cost when it becomes available. Additional content will be guided by student needs and interests. If you liked the Basic Course and would like to receive instruction and critique on your assignments, plus be added to the UC Community Facebook Page, you can upgrade your registration at any time. But you do have everything you need in the BASIC COURSE to paint captivating clouds right here. More content, videos, and demos to be created as classes and student registration builds adding even more value and information to learn from. Students who take advantage of these introductory prices with get the upgraded content for no cost or a reduced cost when it becomes available. Additional content will be guided by student needs and interests.